Members of ABN are engaged in doing business in the Arctic - including many especially in Greenland. All companies operate with a specialist knowledge, and in the events organized in the network, we seek to gather and share experiences while new knowledge and insights is acquired. ABN has an increased focus on resources in Greenland and international issues related to the mining and oil industry. 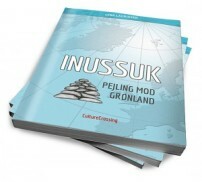 Insight and knowledge of current conditions - particularly with regard to projects and activities in Greenland. Getting the Deal Through - an updated chapter in the internationally recognized publication Getting the Deal Through - Mining 2015 about rights and obligations in connection with exploration and exploitation of minerals in Greenland by Attorney-at-law Peter Schriver. ABN organized events with updates about the latest news on international trends and the international mineralconference PDAC 2015 in Toronto. 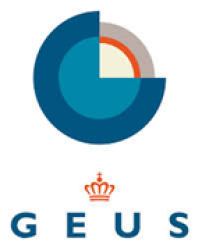 GEUS gave a presentation. ABN organized events with updates about the latest news on internatio-nal trends and the international mine-ralconference PDAC 2015 in Toronto. Arctic Business Network focuses on the production of food based on ingredients from the Arctic. A large number of members of the network have focused on just the Arctic food and market opportunities for exports and imports. ABN follows the project on the making of ice cap water on bottles. ABN is included in Maik Carreros making of Greenlandic ice. What is the Greenland Ice? Icemaking based on the Greenland ice sheet, which is very special, as the water is osmosis water, and therefore does not contain minerals. The water acts as a magnet, and by supplying flavor ingredients, and minerals, a very unique flavor appears. The ice cream is free of lactose, as this is a growing problem. Some products will be suitable for diabetic since no sugar is used, but a substituent, such as xylitol, PerfektSød, sukrin icing and dextrose. ABN is included in projects and production of new products based on ingredients from arctic regions including from The Kvann Company. ABN is planning a major conference in 2016, with a focus on "Arctic construction Methods" on February 4 2016 - carries proficient and customized materials to the Arctic climate. Rockwool, Velux and Logstor supports the project. ABN is planning a major conference , with a focus on "Arctic construction Methods" on February 4th 2016 - carries proficient and customized materials to the Arctic climate. Rockwool, Velux and Logstor supports the project. Recruitment and retention of workers in Greenland is a central issue for many of ABN´s members. At the same time training and building skills is important, - therefore ABN has collected a presentations about these key topics. ABN hosts in April 2016 a series of events with the author of the book, Lena Lauridsen along with a panel of companies that provide their input to the angles on "the good process" when new employees travel to Greenland to work and live. ABN focuses on labor from Greenland in the Danish labor market. 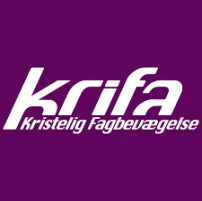 See discussion of Krifa Aalborg's success here. ABN is focused on communication and dissemination of news and current events. ABN has established a good network to a number of news outlets already, which also raises awareness of ABN. ABN is also focused on the media scene in Greenland and is able to provide a glimpse behind the scenes, when 3 promite media eksperts reveals information about the media and their working conditions, as well as give a presentation on how to constructively cooperate with the media. What does it mean when doing business in the Arctic - particularly in Greenland? What separates the Greenlandic market from other markets, and where acquired skills transferable to other markets? All ABN members adapt the company, then the assignment matches the competencies present and skills to be fed. But how do companies acquire his knowledge? And how can this knowledge be used strategically to seek partners, look at new markets or strengthen existing business? At a workshop organized by ABN, we went in search of more knowledge about the Arctic expertise available in the member companies. A number of business people with business in the whole Arctic region came with some ideas about what you could characterize as Arctic skills. What skills are needed to create successful business?